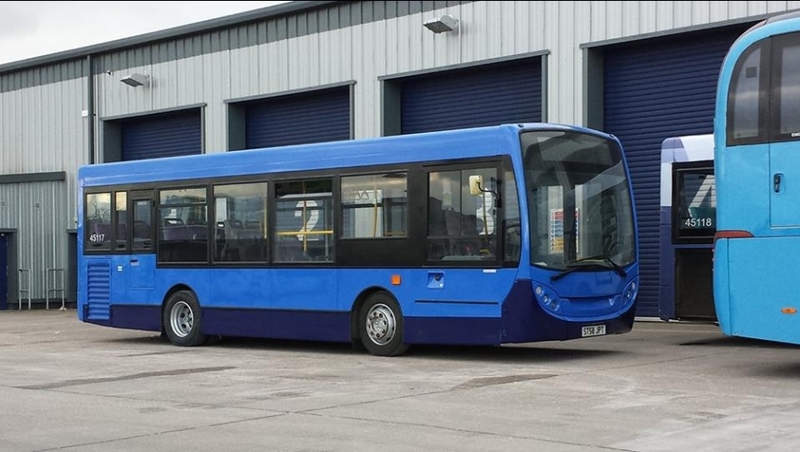 Within a few days of arriving in Scotland former First Lowestoft Enviro 200 45117 ST58JPT has been quickly repainted into the Bluebird livery for First's Scottish operations. It is now allocated to Banockburn after repaint at Glasgow's Caledonia Depot. Thanks to James Duncan for use of his photograph.